Social media platforms including Facebook, Twitter, LinkedIn and Pinterest have all changed the ways in which contractors attract and retain new customers. Traditionally, contractors relied on marketing methods such as direct mailers, television commercials and word-of-mouth referrals to obtain new contracts. While these methods can still produce results, more and more customers are resisting such efforts and are instead searching for more value before they make a purchasing decision. They are finding this value through social media. Social media marketing for contractors is important because it helps contractors interact with customers online and in platforms they are already familiar with. Here are a few helpful tips on implementing a social media marketing strategy that any contractor can use today. Why Social Media Marketing for Contractors? Contractors no matter the type—general contractors, home remodeling contractors, and even electrical contractors can all benefit from the results that social media marketing can provide. As the internet continues to develop, social media marketing has emerged as a key strategy used by many businesses to connect with customers, foster relationships and share important information regarding products and services. For contractors, social media marketing can provide just the right amount of exposure the contractor needs to substantially expand their business operations. Marketing via social media may include the following: engaging graphics posts links to resources such as blogs and articles, or even explainer videos just to name a few. There is also the opportunity for direct interaction as the contractor responds to customer comments and questions. Discerning customers can make very important life decisions based on this information. From searches on which contractors are in their local service area to more comprehensive searches on particular projects such as bathroom or kitchen renovations, more and more prospective customers are relying on social media content to provide them with the answers they seek to some of their most trying home and office improvement questions and concerns. Decide on a Platform. Keep in mind that not all social media platforms are created equally. Different contractors may have different results depending on their client base. This is why it is so important to have a clear understanding of who the contractor’s core audience is—their demographics, their needs, and their expectations from the social media content they encounter. Set Clear Goals and Objectives. Next, set clear goals, objectives and expected outcomes for these outreach efforts. Such objectives could be to obtain a certain number of new followers on Facebook or it could be to draw a certain number of new leads into a sales funnel and then convert them to new customers. All in all, the expected outcome should be clearly defined prior to implementing the social media strategy. Decide on Content. Next, decide on the actual media and content that will be posted online. Such content may include images, videos, helpful links to industry articles or links that direct the follower back to the contractor’s website for relevant information. Consistency is the Key. The one thing that holds true in social media marketing is consistency. Consistency makes a huge difference in the results that can be achieved through this strategy. Frequent, relevant posts will keep prospective customers engaged. Customers will interpret consistency as the contractor’s way of showing they care about helping them solve their problems. In sum, the benefits of social media marketing for contractors are innumerable. Today, customers are turning to social media to connect with companies they are interested in as well as to learn more information regarding the services offered by these companies. 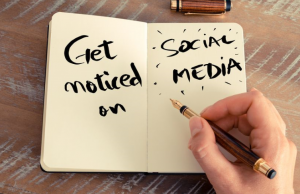 Quite simply, social media marketing is important for contractors because it provides them with an opportunity to reach more people in a shorter span of time when compared to traditional marketing. The results that can be obtained from social media marketing are precise, they lead to long-term engagement and they provide meaning to the customer. For contractors who are ready to create a results-driven social media marketing plan, contact a team of marketing specialist today who can provide guidance on all that social media marketing for contractors entails.